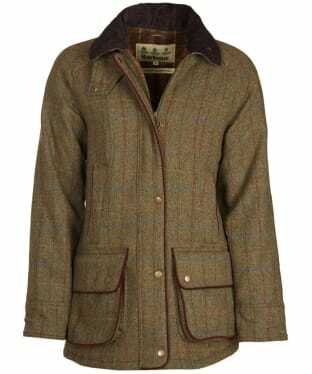 Our tweed jackets are perfect for any country lady, and with our special offers what’s not to love! These beautiful tweed jackets are perfect for completing a country inspired look which looks great in both the town and country! 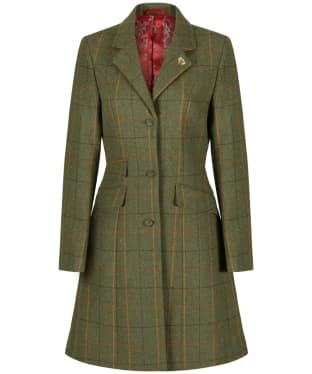 With brands such as Barbour, Jack Murphy and Dubarry there is something here for every country inspired lady. Whether you prefer a blazer inspired look or a heavier jacket you will find it right here, and with our fantastic offers make sure you get it while it still here! 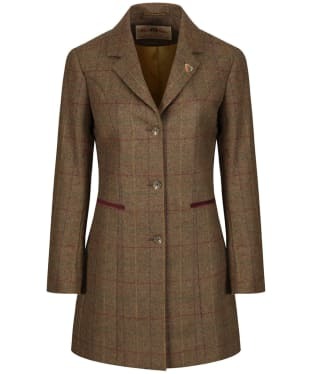 The Women's Alan Paine Combrook Ladies Tweed Wrap will keep you looking stylish as the temperature dips this season. This beautifully designed wrap has been crafted from a pure wool, finished with a water repellent outer for an added touch of convenience. The classic and contemporary tweed finish will look great teamed with many of the Alan Paine products, or even just your favourite pair of jeans! For an added touch of stylish detailing the Combrook Tweed Wrap comes with a beautiful gilt leaf pin. 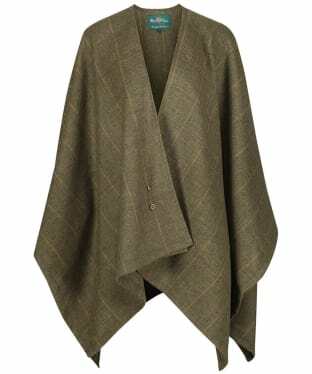 The ultimate in luxurious country style, this Dubarry Samphire Tweed Cape is the perfect elegant cover up for the colder months. There are two arm slits to the side allowing for ease of movement, and create an elegant drape around the arms, while hands can be kept warm in the two welt pockets to the front of the cape. The faux fur inner collar is provides comfort and warmth during the colder months, while adding that touch of glamour and luxury. The luxurious touches do not stop there – the toggle end pieces are crafted from only the best Dubarry leathers, and the Samphire cape features a full Dubarry branding lining. Simply wear over your favourite knitted sweater with jeans and long boots for a country chic look. The Women's Alan Paine Combrook Field Jacket is the perfect companion for your next trip out into the countryside, offering you a waterproof and breathable finish so no need to let the weather stop you in your tracks! This jacket has been tailored to Alan Paine's shooting fit meaning plenty of room for movement and layers. This field jacket boasts a 100% woollen outer and is finished with Alan Paine's bestselling Combrook tweed for a jacket you are sure to love! This jacket features an array of pockets including two flap pockets, a map pocket and a secure internal pocket, meaning you can keep those essentials safe and close to hand. The single back vent gives you added movement whilst you out and about enjoying the countryside. The waterproof, wind-breaking cuff offer you adding protection from the ever changing weather this season and beyond, perfect for keeping the cold and wet weather at bay. For a more feminine fit you are sure to love this jacket has been finished with a back belt waist adjustment. 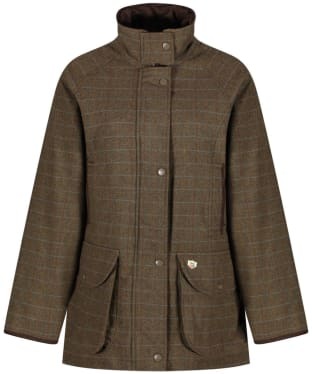 Perfect for those chilly days out in the country, the Women's Barbour Carter Wool Jacket features a 100% wool outer, 100% cotton quilted Barbour tartan lining, and two front hand warmer pockets, sure to keep you nice and warm. Designed in Barbour's new tweed design, the Carter Wool Jacket will ensure you are always on-trend. 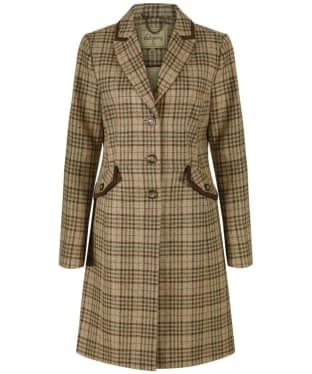 The Women's Alan Paine Combrook Tweed Mid Length Coat is an elegant three buttoned piece perfect for the cooler months. It's crafted from luxurious soft handle Combrook Tweeds made using a natural array of twisted coloured yarns, which creates a modern yet classic colourway. 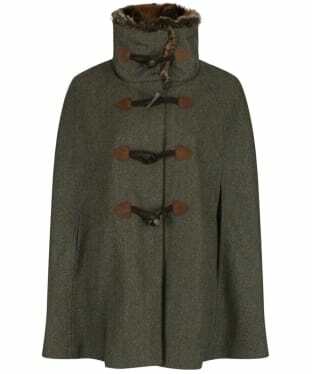 As well as being stylish and warm, it also has a water repellent outer and is fully lined. Features include two flap pockets, a ticket pocket and single back vent for ease of movement. A stunning addition to any stylish lady's wardrobe, the Women's Joules Wiscombe Tweed Blazer is perfect for taking you from a day at the races to a country stroll with ease. 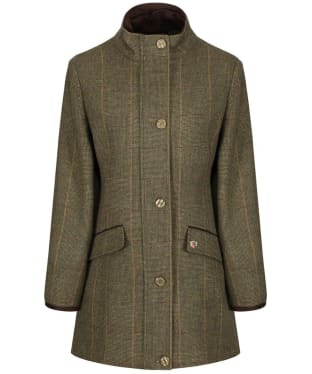 Beautifully crafted from 100% wool, you are sure to love the country inspired feel of this tweed jacket that will complete your look with the upmost sophistication, whilst keeping you warm all day long. This single breasted blazer has a classic design, with double flap pockets to the front as well as a single ticket pocket for that elegant finish and space to store your personal essentials whilst you are out and about. We know that you will adore the signature Joules features that this jacket boasts, such as the bespoke pretty printed lining, button fasten and hare logo branding for that added mark of quality. A fabulous piece, place the Wiscombe Blazer over your favourite Joules shirt or sweater to complete you on-trend look with ease. 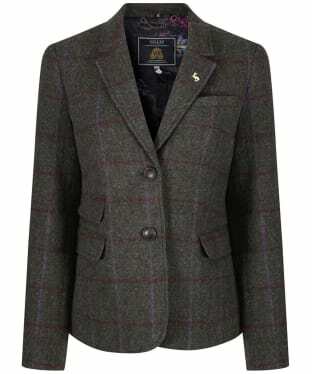 The Ladies Eglington jacket is a classic country tweed blazer that has been cut in a Heritage fit that sits closely to the natural contours of the body. 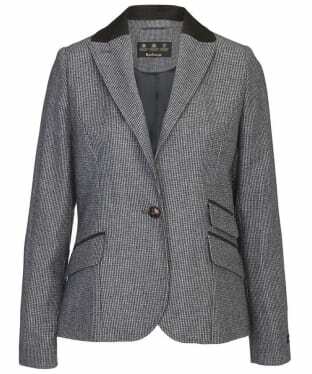 A stunning addition to any lady's wardrobe, the Women's Jack Murphy Margot Tweed Blazer is the perfect finishing touch to add an elegant feel to any outfit. Whether you are heading out to lunch or off to the races, this blazer is sure to be the ideal accompaniment to your Jack Murphy ensemble and has been crafted from the highest quality 100% Shetland wool tweed for a premium feel that you are sure to love. For your added convenience, this blazer boasts two front pockets as well as a small ticket pocket, providing ample space to store your personal items whilst you are out and about. 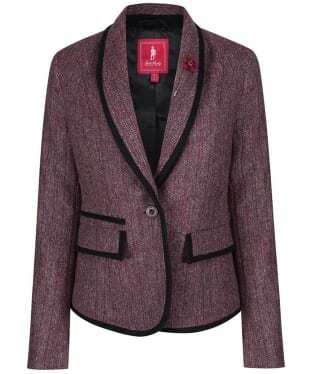 The pretty flower pin brooch and moleskin trim complete this sophisticated blazer with ease. 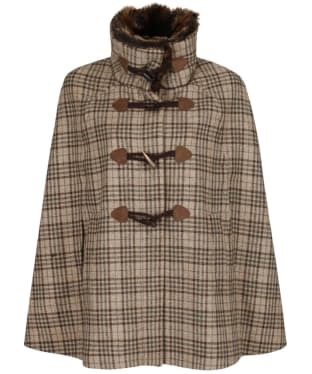 The Women's Alan Paine Combrook Waterproof Coat is perfect for the sportswoman. Featuring a vareity of practical features which make your time outdoors as comfortable and simple as possible, including cartridge pockets with flap retainer straps to keep cartriges accessable when shooting. These useful features are coupled with stunning classic country styling.